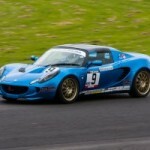 Maidstone Sports Cars took outright victory in only their second Lotus Cup UK race this weekend. 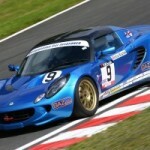 The teams Damien Hirst liveried Exige S1 beating stiff competition from Go Green Motorsport and the Hofmanns run Europa. 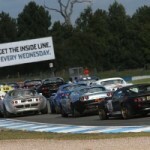 In the Elise Trophy Rob Boston continued his winning ways, with victory in both the weekends Elise Trophy races. 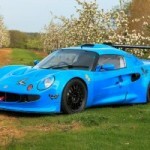 This entry was posted in LoTRDC and tagged Brands Hatch, Damien Hirst, Elise Trophy, Lotus Cup UK, Maidstone Sports Cars, Rob Boston. Bookmark the permalink.